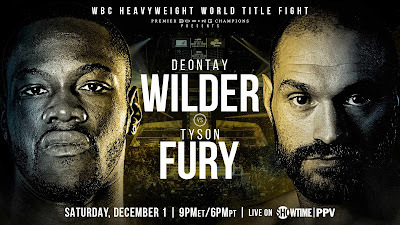 Heavyweight boxing in America just may takeover and once again be spectated as the the most vital essence of the sport, as we lead up to the anticipated main event on December 1st between WBC World Champion Deontay Wilder and the undefeated Lineal Heavyweight Champion Tyson Fury, live from Staples Center in Los Angeles. However, the opening bout for this venue appears to be "under the radar," but still a bout that's actually a stellar matchup in the same division of the towering giants. We're talking about two men who have delivered entertainment through thrill, undoubtable grit, and excitement in their most recent bouts to say the least. Two warriors that will raise the blinds this weekend. The Cuban boxer Luis "King Kong" Ortiz and Travis "My Time" Kauffman from Reading, Pennsylvania bring a lot of energy to kick off the fights this weekend for various reasons. Ortiz, recently coming off a KO loss to current WBC Champion Wilder on March 3rd, had provided Wilder with all he could handle, virtually winning every round of the fight until dramatically failing to rise from a haymaker in round 10. The ferocious, yet tactical, Kauffman may be considered one of the most under looked opponents, as Ortiz eyes a rematch with Wilder in the event he defeats Tyson Fury. Travis Kauffman is known for his undeniable heart and alluring adjustments, most recently against Scott Alexander and more notable boxers consist in - Chris Arreola and a fight of the year candidate with Amir Mansour. It is worth noting that the victory over Scott came after a 15 month layoff, followed by the close thriller with Mansour. On top of the ring rust, Kauffman proceeded to emerge victorious over Alexander, who he had little time to prepare for as his original opponent Antonio Tarver failed a drug test. A lot of boxing fans tend to underestimate certain matchups, and professional fighters are no different. Luis Ortiz has made it very clear that he is eyeing up a second go against Wilder, but that may be his biggest mistake, as he has the big man from Reading, Pennsylvania in his way. 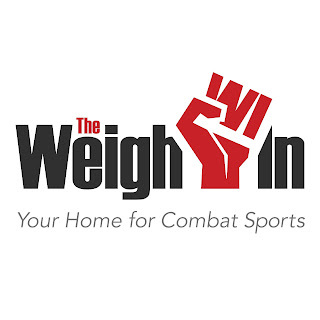 fans of late and to this current era have experienced dramatic shifts in the art of pugilism, and we may well be witnessing another ruffle in the dynamic, most iconic, and legendary division - the heavyweights. Ortiz is the favorite, Kauffman the dark horse. 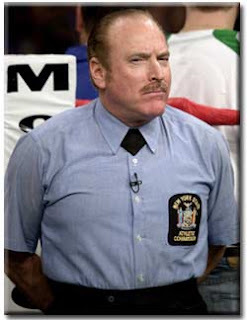 The most certain aspect revolving around Travis Kauffman and Luis Ortiz is that they will entertain and provide the spectators with lightning, thunder, and dynamic action to open the first adequate heavyweight boxing card in many years.